Levi has been teaching guitar for eight years as a private instructor. He has a Bachelor of Music in Music Industry (Music Business & Recording) from the University of Wisconsin Oshkosh. Classical guitar was his primary instrument but he has studied and enjoys a wide variety of styles. Levi continues to work with, and records, a number of local bands and musicians from all around the state. As a teacher, Levi enjoys giving beginners the tools to tackle learning music and a new instrument. His strengths include patience with young and or new students. 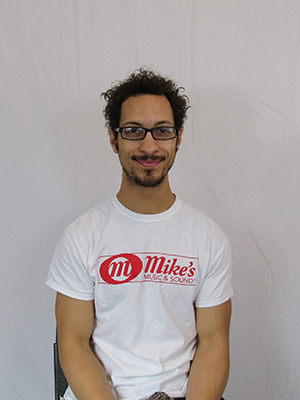 Levi is also a full time employee of Mike's Music and will help you with any questions you may have about instruments or repairs.